LK: I am a Laboratory Supervisor for a large pediatric practice with 4 offices. I am a divorced, single mother. My daughter is 17 and a freshman at Seton Hall University. LK: I played various sports throughout my childhood, as well as varsity softball and tennis in HS. I also danced for 16 years. SGPT: How did you train for the GoRuck, Tough Mudder and Spartan? LK: My very first OCR was the Merrell Down and Dirty 3 years ago. 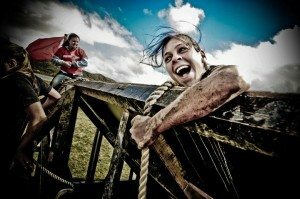 I ran my first Spartan 2 years ago and that was a turning point for me. At the time I had already been taking cardio kick boxing and karate. In spring 2012 I earned my black belt in karate and I completed over 20 events throughout the year. In the beginning of the year my training was regimented, kick boxing, karate, and the gym. Due to unforeseen circumstances, my training became the basics. Running locally, roads and trails, and working out at home with weights. When I decided to register for my first GoRuck Challenge, I did purchase a weighted vest. Although, I really didn’t have the opportunity to ruck as much as I would have like to before the event. I went into my first GRC with no specific training but I had confidence in my overall fitness and the knowledge that the challenge was a team event. SGPT: Tell us a little about each one? LK: I answered this question within the question below. 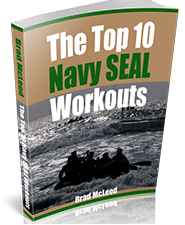 SGPT: What was hardest part of each one? LK: All of my OCR’s and GoRuck Challenges are a bit more difficult for me than most because I have moderate to severe asthma. OCR’s are most challenging for me when they are held on mountains, which, most of the Tri-State and New England OCR’s are. I completed Spartan Sprints in Tuxedo, NY and Palmerton, PA, both of which were mountains. 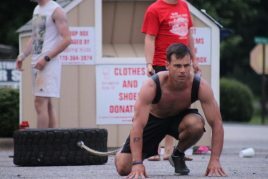 I completed Spartan Supers in Mount Vernon, NJ and Leesburg, VA. The NJ Super was on a mountain and extremely challenging. The interesting thing is I completed the VA Super which was twice the distance and two-thirds more obstacles (10+ miles, 75 obstacles) in the same time it took to complete the PA Sprint (5+ miles, 25 obstacles), strictly because the VA Super was on an equestrian farm. The most difficult OCR was the Spartan Beast in Killington, VT. At the time I was suffering from a severe sinus infection but I didn’t want to miss out on the opportunity to complete my Trifecta. Between the elevation change, my asthma and the sinus infection, ascending the mountain three times made it extremely difficult to breath but I paced myself, used my rescue inhaler when necessary, and although it took approximately 9 hours to finish, I completed the Beast and earned my Trifecta medal. My first GoRuck Challenge was May 2012 in Philadelphia, PA. I was beyond nervous because I didn’t know what to expect and wasn’t physically prepared as I would have like to be. Also, my other concerned was when participating in OCR’s and road races I am only responsible for myself. In a team event like a GRC, my limitations could affect the team and I didn’t want to be a liability to the team. Once the challenge began, I soon learned that the team is only as strong as your weakest member and that no matter what, you’re always a team. The realization came to me early on when we had to sprint twice around a garden within an allotted time. We needed to ascend a hill on the last stretch of the sprint and as we were ascending, I started to slow and lose my place in formation. We were in a two line formation and the guy next to me (who I still don’t know who it was to this day) grabbed my hand and pulled me to the checkpoint. The entire time, everyone around me encouraged me that I could do it, I could run just a bit more, and make the checkpoint. I almost had an asthma attack, but in that moment, I realized that my team would be there to support me the entire challenge. I completed my first GoRuck Challenge and I am a proud member of Class 169. My second GoRuck Challenge was November 2012 in Baltimore, MD. Although I was familiar with a GRC, I was nervous for a completely different reason. The challenge was just 2 weeks post-Sandy and for the last 2 weeks I had dedicated myself to a group we created called GoRuck Cares. I had spearheaded the project in NJ and had been working long hours trying to help my friends, family and community get their lives back together. I live in Toms River, NJ and Ocean County was severely damaged by Sandy. At the time of the challenge, my own home didn’t have electric, therefore I wasn’t eating properly, I wasn’t training and barely sleeping. My GRT family encouraged me to participate in the challenge despite everything. It was actually more inspite of everything, they knew I needed this. After the first 2 hours or so Cadre stated we were going to “push hard” to our next checkpoint. I knew running would be challenging for me but my fellow teammates encouraged me and reminded me they were there for me. A photographer actually has an amazing picture that captured the moment of two of my team members giving me the “pep talk”. During the sprint the Cadre ordered us to begin Indian sprints, which I knew had the potential to trigger an asthma attack but I was determined to at least attempt the Indian sprints. Despite my best efforts, the sprint triggered an asthma attack. I fell out of formation and one of my team members was right there with my inhaler. From that point on, any time we had a push to a checkpoint, my team carried my ruck and passed it around so I was able to maintain running with the team. There would have been no way I would have been able to complete the challenge without the support of my team and, although I was disappointed I had to pass off my ruck, I am still a proud member of Class 314. SGPT: What is one thing you wish you would have done to get ready for either? LK: For the Spartan Races, more trail running. For the GRCs, nothing specific, just basic overall training. SGPT: Any tips for up and coming athletes that want to do these challenges? GoRuck Challenges are a completely different animal. It takes a certain type of person that is willing to put 20+ lbs in a rucksack on their back and carry it for 10-12 hours over 15-20 miles, while completing various team building exercises. It’s not about you, it’s about the person to your left and to your right. The biggest step is registering for the challenging and showing up. After that, it’s just good living. SGPT: Many thanks for the interview Lisa. LK: I hope this is helpful and please let me know if you have any more questions or I can elaborate in any way.